In t-minus 2 days, Smorgasburg will finally be making its way to Queens. 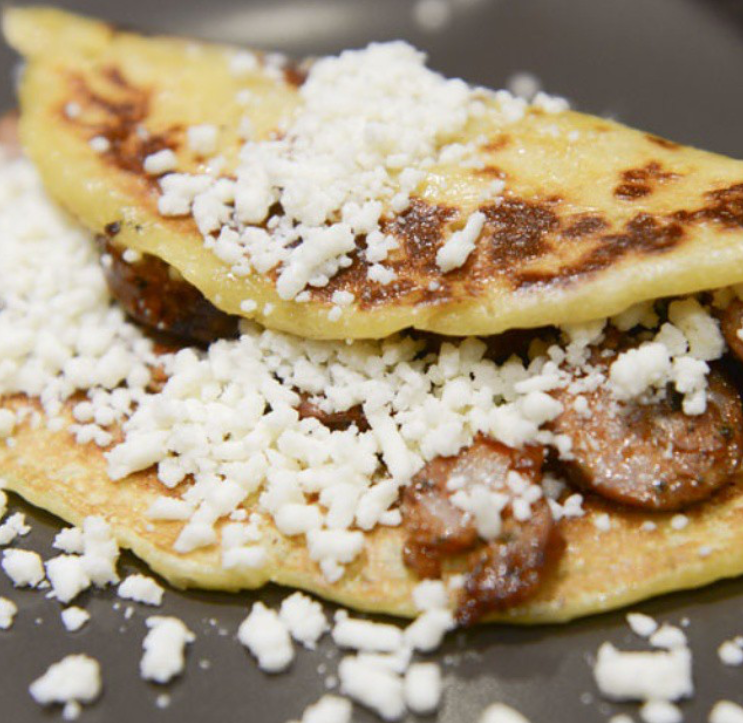 Smorgasburg Queens: The World’s Fare promises to gather some of the borough’s most diverse food in an effort to show off the variety of cuisine Queens has to offer. 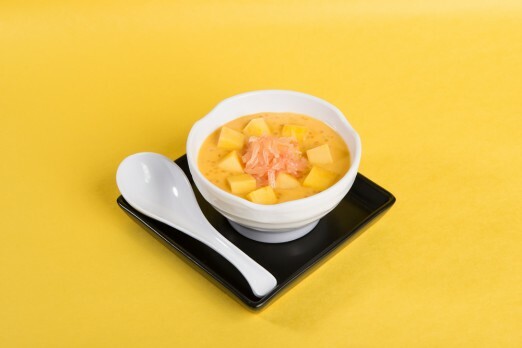 They will be serving everything from Bloody Mary Donuts to Hong Kong Pomelo Soup to Taiwanese Shaved Snow. Though the list of food is excitingly exotic, some of our favorite local comfort food will also make an appearance. Sugar Freak will definitely be bringing the sugar to the party with their scrumptious looking deep fried pudding. 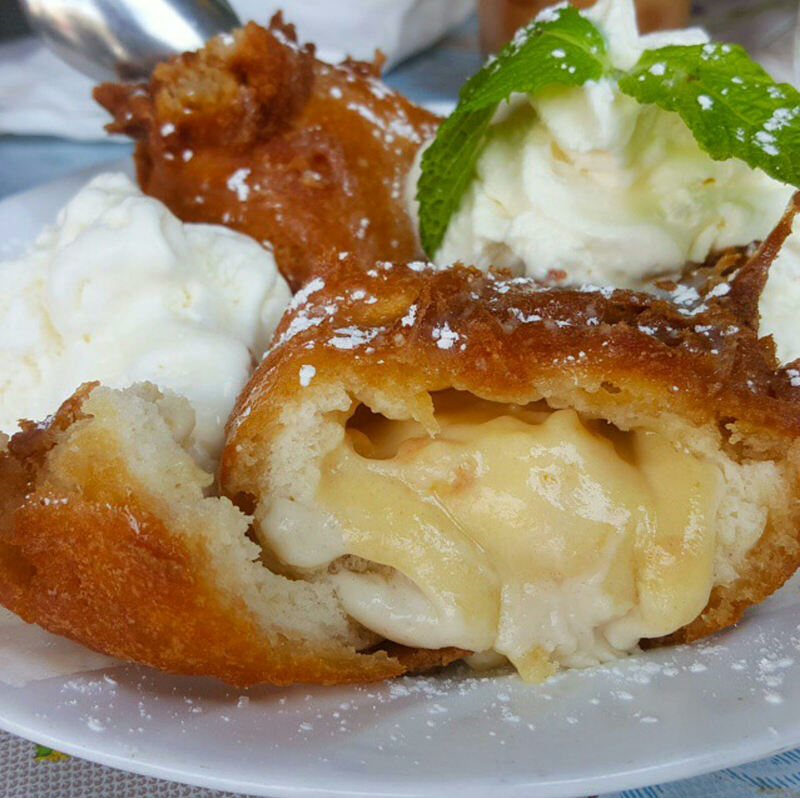 This week they will have Deep Fried Banana Pudding and Chocolate Coconut. Flavors will change on a weekly basis. Another Astorian favorite, The Queen’s Kickshaw, will also make an appearance. 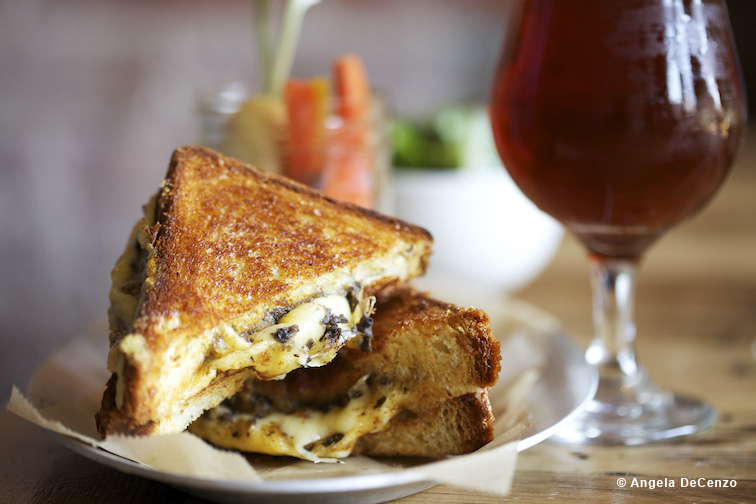 The restaurant is known for making “fancy grilled cheeses” and will be doing just that at The World’s Fare. Their menu consists of grilled cheese, ice cream sandwiches—both of which will change weekly—chilled corn soup, watermelon salad, and cold brewed coffee. Though most of the focus is on the food, I was lucky enough to get a few words from the curator of the Smorgasburg market transplant. Joe DiStefano—the writer of the online publication, Chopsticks and Marrow—is known for his knowledge of Queen’s gastronomy. When talking to him, it’s quite clear how passionate he is about the link between cuisine and culture. For him, “the staggering diversity of food and culture [in Queens] is intertwined…and inseparable.” He told me that when he guides food tours, he likes to bring people to a specific restaurant and incorporate a little cultural tour in the surrounding area. 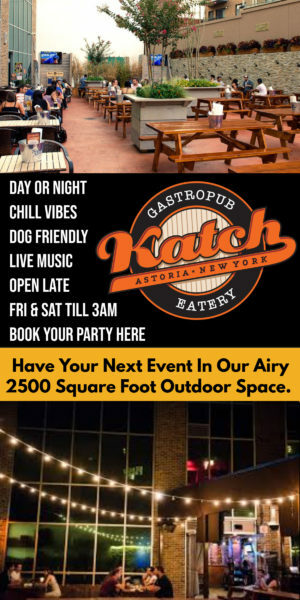 So when you visit a Thai restaurant with Joe, “you can bet [we’re] going to the temple across the street.” This quality of authenticity is what keeps DiStefano coming back to Queens. 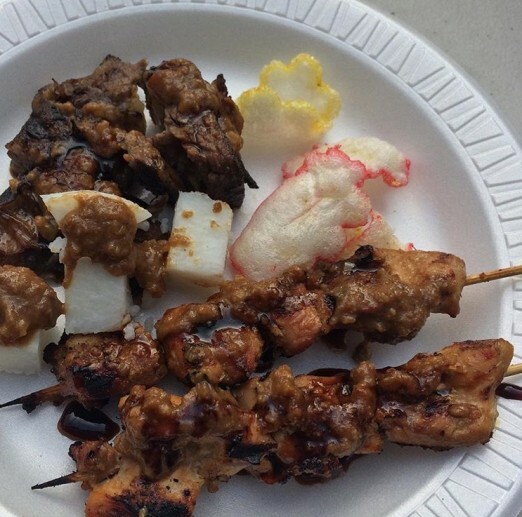 When Smorgasburg contacted DiStefano back in May, he made a list of many of the vendors in Queens that he thought represented both the ethnic variety and the diverse flavor profile of the borough. One of his main goals was to show how uniquely delicious the food in Queens really is. 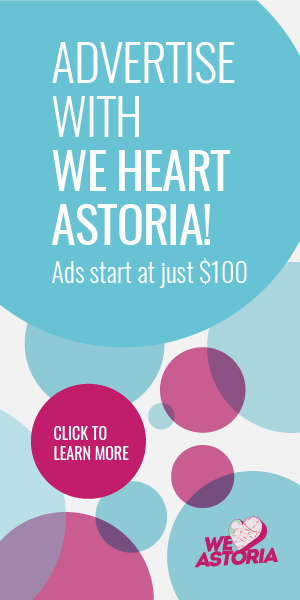 For him, Smorgasburg is an opportunity to “encourage people to further explore Queens and to eat outside of their comfort zones.” Like many of us Queens residents, DiStefano hopes for a paradigm shift in opinion—that making the “trek” into Queens is actually just a quick ride across the river into an untapped culinary haven. 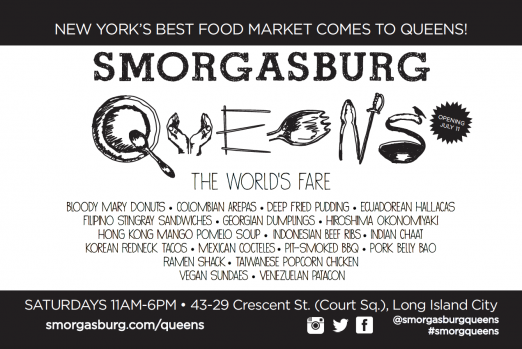 Smorgasburg Queens: The World Fare will be located at 43-29 Crescent Street, Long Island City. The location is a stone’s throw away from several trains—the 7, N, Q, M, R, E, and G trains are all within a couple of blocks walking distance. The market will open this Saturday, July 11th from 11am to 6pm. Smorgasburg will remain there every Saturday until the end of summer. 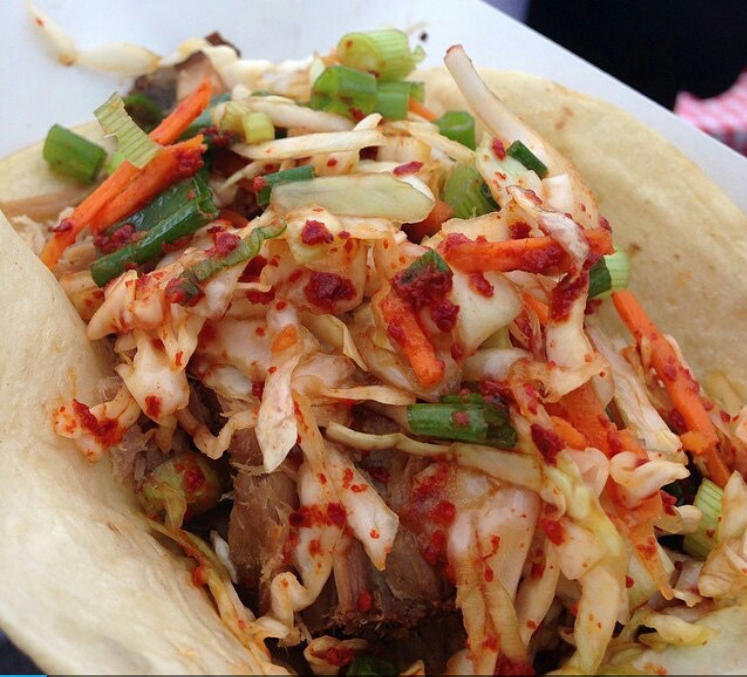 Let us know what you hope to see and try at Smorgasburg Queens: The World’s Fare below in the comments.